The Nolan Catholic Women's Soccer Program captures their 28th TAPPS Regional Championship today with their 3-0 shutout over Incarnate Word San Antonio. With that said, the Lady Vikings qualify for the TAPPS State Final Four more times than any team in the history of TAPPS. Hannah Allred and Kate Kleiser combined for the 3 goals today and sophomore, goalkeeper Sarah Becan gets her 9th shutout on the year. The Lady Vikings improve to 20-10-2 and move one step closer to capturing their 5th TAPPS State Title. With a 1-0 halftime lead, the Lady Vikings continued to add waves of attack outshooting the Incarnate Word side 16-3 on the day doubling the lead in the 54th minute as Allred scored her second goal of the match. Later in the second half of play, Klesier pushed forward and got tripped up on her way to goal and was awarded a penalty shot which she proceeded to make good on for her 7th goal of the season. LVS head coach, Jay Fitzgerald commented, "Another solid effort from our group; we just don't stop, we have done a nice job with our patience yet again and every single kid on this team is contributing." This team is as balanced a team as they come. Sixteen out of the 19 players on the roster have played in close to 30 games this season and with 20 wins on the season they look for just 2 more. 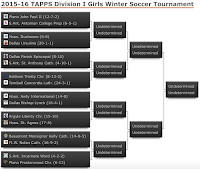 The TAPPS State Final Four starts next Wednesday against Bishop Lynch. Both State games will be played at John Paul II High School. Ursuline and TCA will play at 5:00pm and Nolan and Lynch will follow at 7:00pm. The championship match will be played on Saturday, Feb. 27th at the Wheatley Heights Sports Complex in San Antonio at 6:00pm. TAPPS 1-5A third place battled 3-5A third place tonight at Allen Academy in Bryan, Texas. 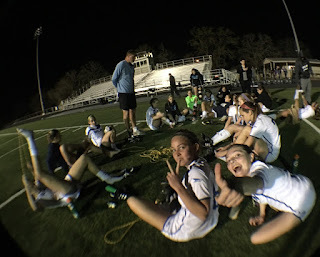 The Lady Vikings scored 5 unanswered goals to advance in the TAPPS Post-Season. All eyes are on Saturday, February 28th in San Antonio, the sight of the 2016 TAPPS State Championship. 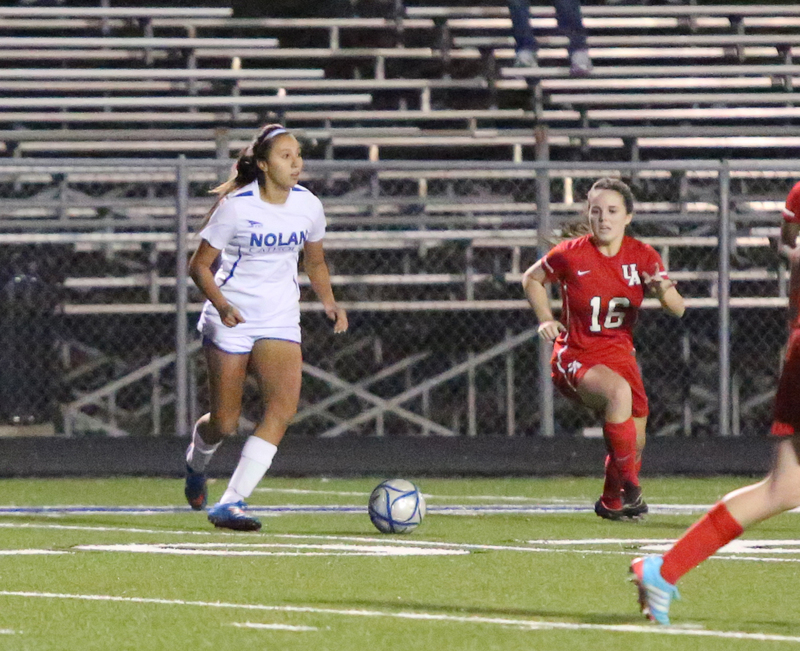 With 5 goals on the night, Nolan Catholic got closer to that date. Beaumont Kelly came into tonights match with an impressive 14-9-5 overall record and were able to hold the Lady Vikings scoreless in the first half of play. 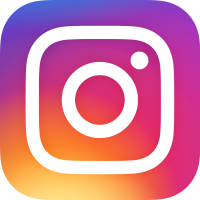 Actually, it wasn't until the 65th minute when the Lady Vikings got on the board as Katee Kimmey side-footed a Mikaela Gamboa cross into the far post. That goal proved to be the only goal needed to improve Nolan Catholic to 19-10-2 on the year and also Kimmey's third game-winning goal of the season. Eight minutes later, Gamboa got a goal of her own off an assist from Hannah Allred. Allred then had the next 2 helpers to Megan Bettinger and Kate Kleiser. Bettinger connected for the 18th time this season. Selena Guzman put the icing on the cake with her 6th goal of the year as Klesier fed her the ball in the 78th minute. Klesier has an impressive 15 assists so far this year. The first half left to little surprise as the Lady Vikings maintained a consistent attack for the opening half of play getting a goal called back and having a penalty kick saved. 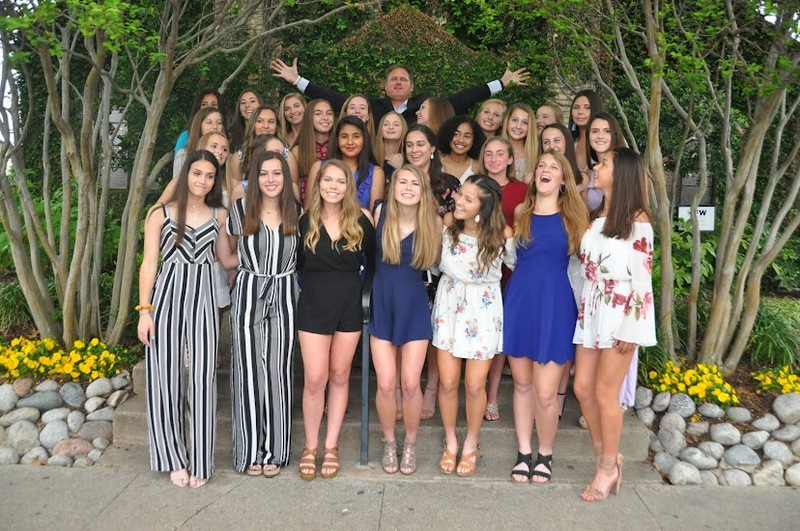 LVS head coach, Jay Fitzgerald said, "We have a lot of young players on this team that were getting their first action in the post season and it took us a while to get our feet under us. I was impressed with the way we came out and the way we kept the foot on the pedal. We stayed patient the entire game, the game opened up, and we capitalized." Next up for the Lady Vikings is Incarnate Word San Antonio this coming Saturday at Waco ISD. The kick off is set for 12:00pm. This match will determine the TAPPS Regional Champion and the winner earns a spot at State in the Final Four which will take place in San Antonio the following weekend. The Lady Vikings get started with the post season tomorrow evening as they head south to Bryan Allen Academy to take on Beaumont Kelly. The TAPPS Area playoff round gets underway for most schools today and will continue through the next couple days with the Regional round starting this weekend. The District I, third place Lady Vikings are set to take on District III, third place Beaumont Kelly. As both teams finish in 3rd place they will meet at a neutral site to see who moves on to the Regional round. The match will kick-off at 5:00pm tomorrow night. The Lady Vikings made it all the way to the Final Four last year and here is a look at the Road to State for 2016. FRISCO, Texas (Feb. 15, 2016) - The U.S. Women's National Team finished atop Group A at the 2016 CONCACAF Women's Olympic Qualifying Championship, securing nine points and a 3-0-0 record after a 10-0 shutout of Puerto Rico at Toyota Stadium. Crystal Dunn scored five goals in the match - a brace in the first half and three in the second - to lead the way for the USA. Dunn's performance ties a U.S. WNT record for most goals scored in a match as she became the seventh player to achieve the feat in the 31 years of the WNT program. Captain Carli Lloyd and Kelley O'Hara added a goal each to put the U.S. up 4-0 at the half. In the second half the USA added three goals in a span of one minute and 56 seconds, beginning with an own goal from Puerto Rico's Ashley Rivera, followed by scores from Dunn and Christen Press. Samantha Mewis wrapped up the scoring in stoppage time with her first international goal. Earlier in the day, Costa Rica defeated Mexico 2-1 in Group A action to finish second in Group A with six points and advance to the semifinal round where it will play the winner of Group B. The USA now travels to Houston for the semifinal match on Feb. 19. Its opponent will be determined tomorrow following the conclusion of the Guyana vs. Trinidad & Tobago match in Group B. Guyana needs a win or a tie to advance, while Trinidad & Tobago needs to win to secure a place in the semifinals. The winners of the semifinal matches qualify for the 2016 Olympics in Brazil. Next on the Schedule: The U.S. WNT heads to Houston to play in the semifinal round of the 2016 CONCACAF Women's Olympic Qualifying Championship against the second place team from Group B on Friday, Feb. 19 at 7:30 p.m. CT. The winner of each semifinal game advances to the 2016 Olympic Games in Brazil. The U.S. is attempting to qualify for a sixth consecutive Olympics and win the CONCACAF Women's Olympic Qualifying Championship for the fourth consecutive time. 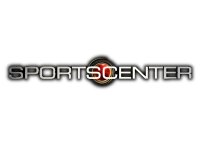 The USA's semifinal match can be viewed live on NBCSN, NBC Universo and NBC Live Extra. 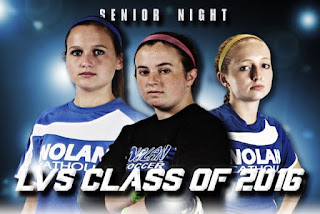 The LVS Class of 2016 will play in their last regular season home game tonight. Their dedication to the program and the commitment has enabled the program to continue its winning tradition. Regan Hafer, Madeline Wiche, and Gracie Emrich have given so much of themselves on and off the field and they will be missed. It is also an exciting time for these 3 special seniors as they start a new chapter in their lives. The varsity will take on John Paul II tonight at 6pm as the regular season comes to a close tonight and the playoffs start next week. These seniors still have work to be done so they can't go anywhere anytime soon. Please join us tonight as we recognize the LVS Class of 2016. The Senior Night ceremony will take place at halftime. If you can't make it out to the game then please join us for another #lvsLIVE presentation by @NCHSmedia. CLICK HERE to watch #lvsLIVE. All LVS home games are broadcast live and in some situations we go LIVE on the road through Periscope @nolansoccer. The Lady Vikings JV squad looks to win its 3rd post-season event since 2011 when they take on Ursuline on Thursday in the semi-final at 9:00am. TAPPS District 1-5A is one of the strongest districts in Texas with quality varsity and JV teams from top to bottom. It is only fitting to give all the teams a chance to play for something whether it is a State Championship, district championship, or tournament championship. Nolan Catholic head coach Jay Fitzgerald said, "This event has been quality from the beginning. The JV teams in this district can beat a lot of varsity teams across the State, so why not give them their own playoff system." Since 2011 the JV teams have been battling it out during the regular season to qualify for the playoffs and then the best of the best come together to win that post season trophy. Nolan Catholic won the inaugural event in 2011 and then again in 2012 to become Back to Back Champions. Ursuline Academy has also won the event two times in 2013 and 2015, while John Paul took the title in 2014. The post season games have been exciting with PK shootout wins and overtime thrillers. Fitzgerald continued, "That is what this is all about, the spirit of good old competition and you don't always have to play at the varsity level to get good competition. The JV coaches in the district are very good and they provide an outstanding environment for these young ladies to compete." This years event gets started early Thursday morning with Semi-Final #1 between Ursuline Academy and Nolan Catholic at 9:00am followed by Semi-Final #2 between Bishop Lynch and John Paul II. The championship match will be played at 3:00pm. All games will be played at Doskocil Stadium on the campus of Nolan Catholic High School. 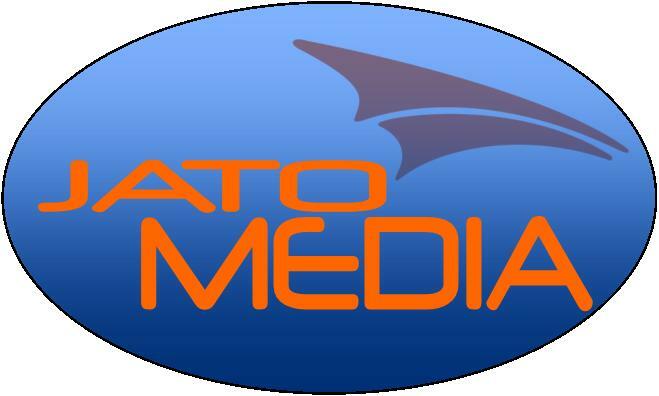 New this year, ALL games will be broadcast LIVE presented by @NCHSmedia. The USA hosts CONCACAF Olympic women's qualifying for the first time in the eight-team tournament that begins TONIGHT when it hosts Costa Rica in Frisco, Texas (Streaming: 8:30 p.m. ET on NBC Live Extra). The CONCACAF field has been cleared so that 2015 Women's World Cup finalists Costa Rica and Mexico are in Group A and Canada is in Group B.
Costa Rica and Mexico should give the USA competitive matches, but the likely deciding game of tournament -- the semifinal match against Guatemala, Trinidad & Tobago or Guyana with an Olympic berth on the line -- should be a cake walk. Olympic qualifying will be the first test of the national team since the retirements of longtime leaders Abby Wambach and Lauren Holiday and the knee injury to its most creative player, Megan Rapinoe. LINDSEY HORAN. Horan used the Victory Tour to quickly assert herself as a force in central midfield in place of Holiday after the latter's retirement in October. That's a new position for Horan, who was a forward for the U.S. under-20 team and at Paris St. Germain, which she joined out of high school. As long as she stayed at PSG, Horan was not going to become a fixture in the U.S. lineup, but she has all the tools to compensate to make the central midfield with Morgan Brian and Carli Lloyd the strength of the national team. CRYSTAL DUNN. Dunn was one of two late cuts from the Women's World Cup team but wasn't deterred, turning in a MVP season for the NWSL's Washington Spirit and rejoining the national team for the fall Victory Tour. Dunn has played all over the field in her career, dating back to her days at the University of North Carolina. She looks to have first shot at a starting job in the short term because of Rapinoe's injury. Dunn might not be the playmaker Rapinoe is, but she adds pace the U.S. attack and is a capable poacher. MALLORY PUGH. Wambach has retired and Amy Rodriguez and Sydney Leroux are on maternity leave, dashing the once-lauded depth in the U.S. attack. After Alex Morgan and Christen Press, Pugh, at the age of 17, in line to nail the No. 3 spot on the U.S. depth chart up front. She came off the bench and scored a great goal against Ireland in January. A strong tournament could put her in line for one of the 18 berths on the Olympic roster. FOUR YEARS AGO. Four years ago, the USA won all five games in Vancouver as it clinched its fifth straight trip to the finals, where it beat Japan, 2-1, in the final to win its fourth gold medal. GOALKEEPERS (3): 18-Ashlyn Harris (Orlando Pride), 20-Alyssa Naeher (Chicago Red Stars), 1-Hope Solo (Seattle Reign). DEFENDERS (7): 19-Jaelene Hinkle (WNY Flash), 8-Julie Johnston (Chicago Red Stars), 7-Meghan Klingenberg (Portland Thorns), 11-Ali Krieger (Washington Spirit), 5-Kelley O'Hara (Sky Blue FC), 4-Becky Sauerbrunn (FC Kansas City), 6- Emily Sonnett (Portland Thorns). MIDFIELDERS (5): 14-Morgan Brian (Houston Dash), 17-Tobin Heath (Portland Thorns), 9-Lindsey Horan (Portland Thorns), 10-Carli Lloyd (Houston Dash), 3- Samantha Mewis (WNY Flash). FORWARDS (5): 16-Crystal Dunn (Washington Spirit), 15-Stephanie McCaffrey (Boston Breakers), 13-Alex Morgan (Orlando Pride), 12-Christen Press (Chicago Red Stars); 2- Mallory Pugh (Real Colorado). On SuperBowl Sunday, the Sheriff takes on Superman with one trying to cement his legacy and one trying to start his own. #1 vs #1 will determine more then just NFL's SuperBowl 50 World Champions, but it will determine who takes home a lanyard, a key chain, some socks, and a shirt. The boxes were picked and the numbers were drawn; who will own some SuperBowl 50 merchandise in the…. Which LVSer will make history! Basically the winning squares are determined by using the last digit of each team's score at the end of each quarter*. The score at the end of the first quarter is Denver 10 Carolina 14, you would find the number 0 in the top row and the number 4 in the left hand column. Follow those numbers to see which square they intersect, the person's name that is in that square would be the winner of the first quarter. The final winning square will be the score at the end of the 4th quarter. In case of overtime, we will NOT use the score at the end of the 4th quarter but will use the final score of the game. With a 4 game homestand complete, the Lady Vikings get back on the road tonight taking on Ursuline. With the earlier varsity kickoff at 5:00pm, the game got started quickly with both teams feeling each other out but it was the Lady Bears that got the games first goal off a corner. The game then came alive a bit more as the first half continued. The Lady Vikings started to find their way a bit with some nice attacking play but Ursuline was up to the task. The game then turned in favor of the Lady Bears in the final minutes of the opening half. The Lady Vikings went into halftime down a goal and came out of halftime with a relentless spirit that got them the equalizer. Both teams did well when the had the ball and both teams were stubborn defensively but in the 48th minute, Hannah Allred took a ball across the top of the box wrong footing the goalkeeper to make it 1-1. 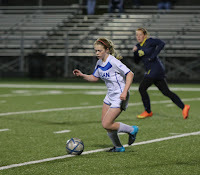 Most of the remaining half was played in the midfield until the Lady Bears found some space inside the Nolan Catholic box and were able to put away a shot off the LVS, goalkeeper, Sarah Becan. Becan made a nice save but the Bears were there to finish it off to regain the lead. During the final 20 minutes the two teams traded opportunities but there were no more goals to be had despite a flurry of chances in the final minute by the Lady Vikings. "The Nolan-Ursuline rivalry is one of the best in the country and tonight didn't disappoint. It was a fun game to watch and it is a privilege to be a part of," said Nolan Catholic head coach, Jay Fitzgerald. The Nolan Catholic and Ursuline Academy Women's Soccer teams have met 18 times in the TAPPS State Championship match since 1990 and countless other times as they see each other twice each year. 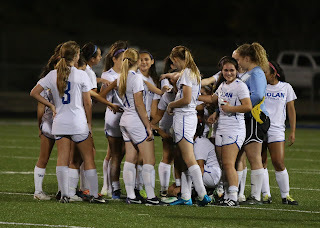 The Lady Vikings continue district play next Thursday night against John Paul II at home kicking off at 6:00pm. The ultimate teammate signs her National Letter of Intent today to continue her soccer career in college at Christian Brothers University in Memphis. Regan Hafer has played in over 100 matches for the Lady Vikings and has been a starter every year since her freshman year in 2012. Hafer has helped the Lady Vikings to a whopping 81 victories during her time her at Nolan Catholic and a National Ranking as high at #7. As a senior, captain she has played over 2000 minutes just this year in her 26 games. Hafer moves about the field gracefully and covers ground better then anyone the area. 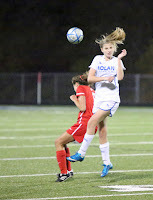 She is poised on the ball and a specific leader that gives the Lady Vikings an opportunity to win each and every match. 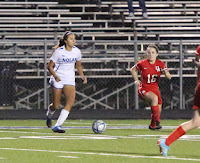 When she is not playing soccer at Nolan Catholic she is playing for one of the top select eams in the area, the Dallas Texans 98 Mid-Cities under head coach, Jermaine Serrato. 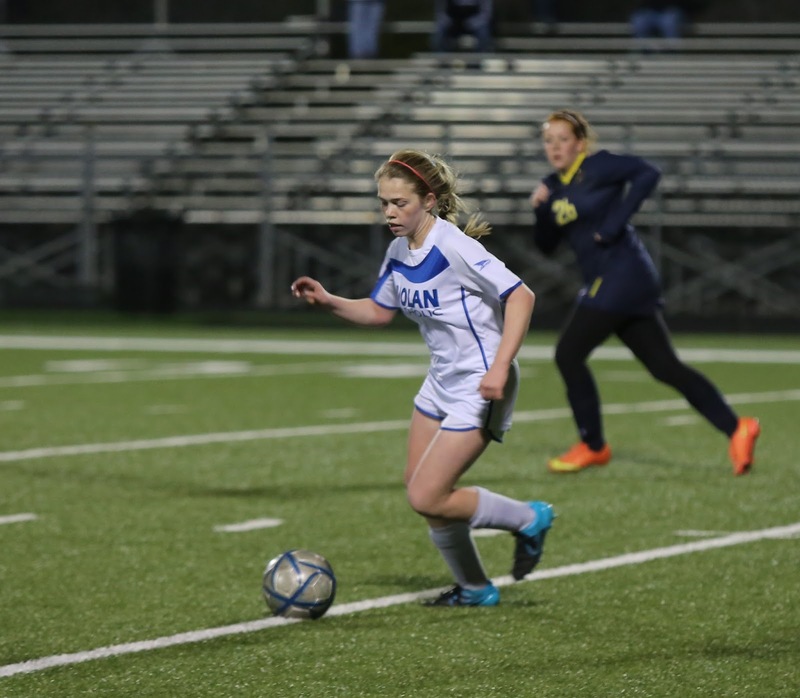 "Regan is one of the strongest and best defenders I have ever coached. She is a great leader and one of the sweetest young ladies you will ever meet. I am extremely proud of her accomplishments and I wish her the best of luck," said Serrato. Regan leaves Nolan, goes to club and then comes back home to get her academics in order and does it all at the highest level. "We talk a lot about maximizing ability and performance... well Regan does just that. She has a high bar mentality and makes everyone around her better, " says LVS head coach, Jay Fitzgerald. Hafer will join the Christian Brothers University Lady Bucs team in the Fall and help improve on their 9-6-1 record in 2014. The Lady Bucs finished the year ranked #10 in the south region. Fitzgerald continued, "Regan makes us better and she will continue to have that effect at the next level." 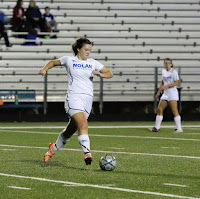 Please join the Lady Vikings Soccer Program and the Nolan Catholic community today at 2:30pm in the Arena to recognize this wonderful occasion as Regan starts her new journey. Seven players get on the score sheet tonight. A well balanced performance give the Lady Vikings their 11th district win tonight to close the gap at the top of the table. With goals scored in the first 5 minutes of both halves the distribution of opportunities was impressive. Monday Night Futbol at Doskocil was exciting especially after adding 3 goals in the last 5 minutes of regulation, a timely response to conceding in the 74th minute. Megan Bettinger started the scoring in the 4th minute and Katee Kimmey scored the eventual game-winner in the 34th minute. Just 2 minutes into the second half, Brennan Flynn took a well timed first time strike from 22 yards out and put it in the top corner for the 3rd goal of the night. Hannah Allred added 2 more goals adding to her season total of 26. 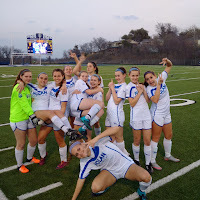 But it was freshman, Allee Kimmey who scored her first career high school goal tonight spinning around the TCA goalkeeper and picking up a loose ball in the 6 yard box. Madeline Wiche came off the bench midway through the 1st half linking the game very well accounting for 2 assists on the night to Flynn and Allred. Sophomore, goalkeeper Sarah Becan didn't have to touch the ball until late in the 1st half but cleaned up the box very well as the game grew older despite giving up a late tally with 6 minutes to play. Head coach Jay Fitzgerald commented, "We were extremely balanced tonight, not overly clean, but everyone was involved and impactful. Solid performance by our entire group." 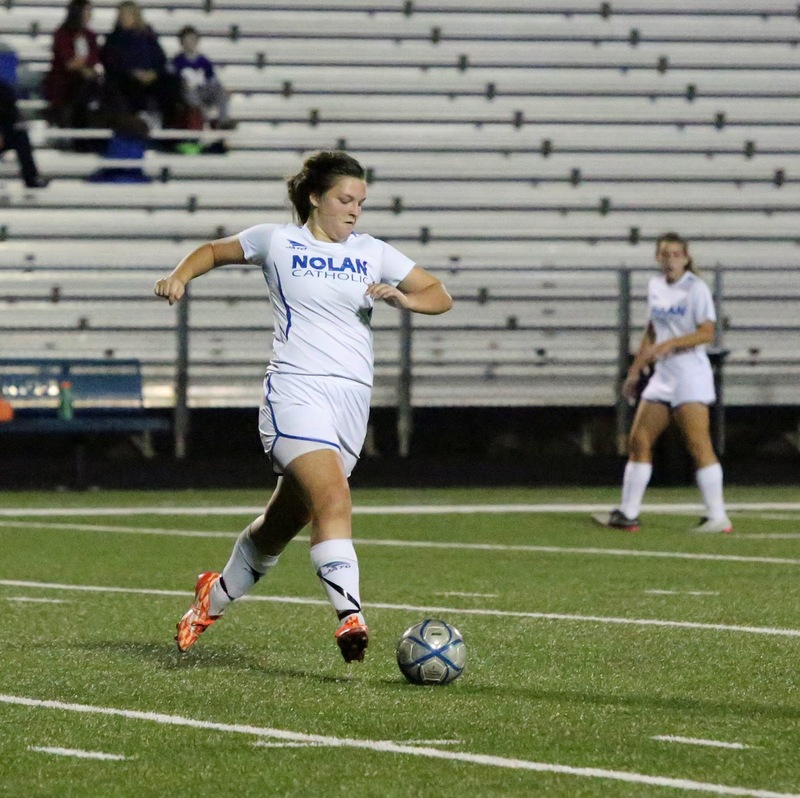 The Lady Vikings improve to 18-8-2 on the year and take to the road on Thursday against Ursuline. The varsity will play first at 5:00pm as the JV will follow at 6:30pm. Wednesday night the JV will host John Paul II at Doskocil Stadium. Kick-off is set for 5:30pm.